With the busy A to Z Challenge, I was not able to properly pay respects to our fallen musicians. Today, we're paying our respects to the great Lonnie Mack, who passed away on April 21, 2016. 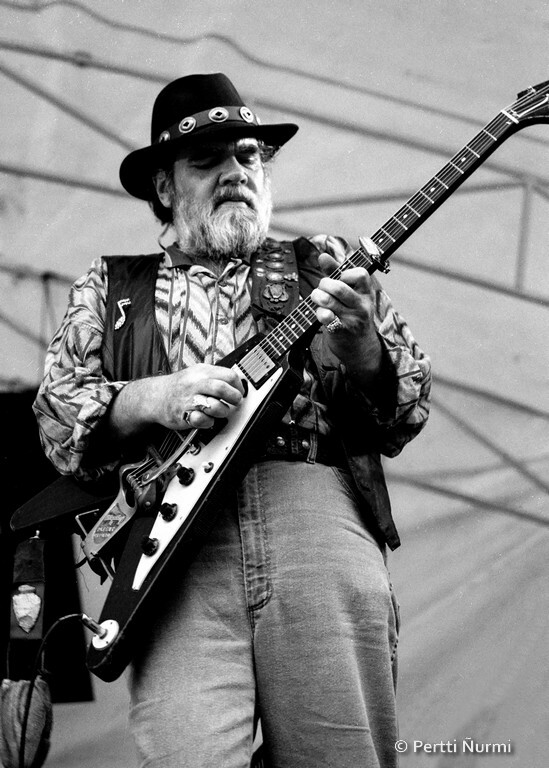 Lonnie McIntosh, better known by his stage name Lonnie Mack, was an American rock, blues, and country singer-guitarist. As a featured artist, his recording career spanned the period from 1963 to 1990. He remained active as a performer into the early 2000s. Mack played a major role in transforming the electric guitar into a lead voice in rock music. Best known for his 1963 instrumentals, "Memphis" and "Wham! ", he has been called a rock-guitar "pioneer" and a "ground-breaker" in lead guitar soloing. In these, and other early guitar instrumentals, "he attacked the strings with fast, aggressive single-string phrasing and a seamless rhythm style". These tunes are said to have formed the leading edge of the virtuoso "blues rock" lead guitar genre. Mack was considered one of the finer "blue-eyed soul" singers of his era. Mack has been called a "guitar hero's guitar hero" who "pushed a new generation of white kid guitarists in the unaccustomed direction of soul music". 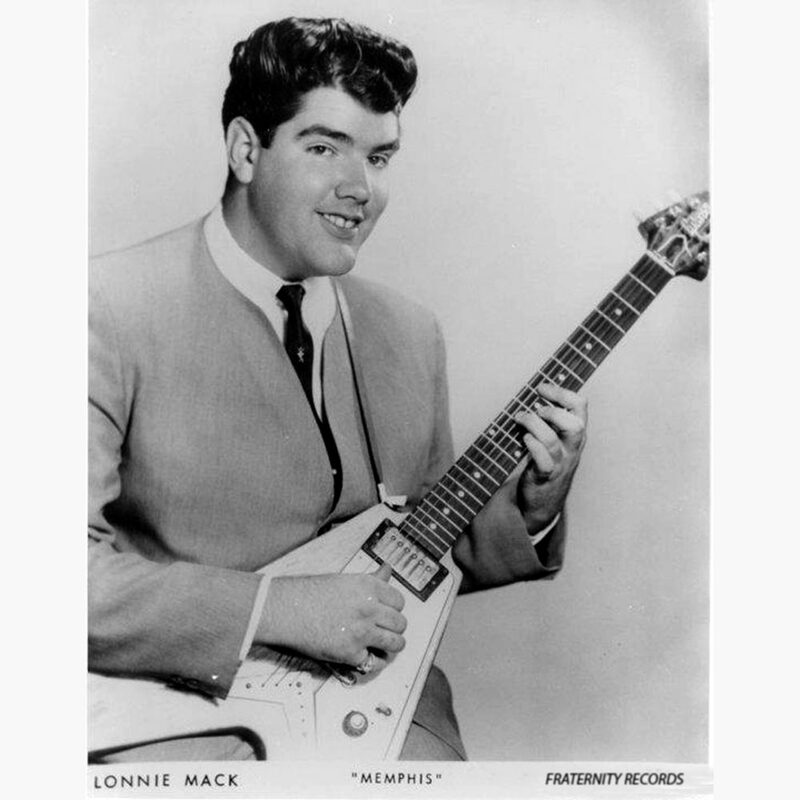 In Skydog: The Duane Allman Story, guitarist Mike Johnstone recalled the impact of Mack's solos upon rock guitarists in 1963: "Now, at that time, there was a popular song on the radio called 'Memphis' - an instrumental by Lonnie Mack. It was the best guitar-playing I'd ever heard. All the guitar-players were [saying] 'How could anyone ever play that good? That's the new bar. That's how good you have to be now'". Blues rock guitarist Stevie Ray Vaughan considered Mack a "very big influence". He honed his early guitar skills by playing along with "Wham!" ("the first record I ever owned") incessantly until his father finally destroyed the record. Young Vaughan simply bought another copy and resumed his practice. Referring to his own musical style, Vaughn said that Mack had "invented a lot of this stuff" and that "I got a lot of the fast things I do from Lonnie". Three years before his death, he listed Mack first among the guitarists he customarily listened to, both as a youngster, and as an adult. Southern rock lead and slide guitarist Duane Allman played along with "Memphis" in his military academy dorm room, stopping, starting, and slowing the turntable with his foot, until the young prodigy had mastered the tune. His Allman Brothers band-mate, lead and rhythm guitarist Dickey Betts, said: "Lonnie is one of the greatest players I know of. He's always been a great influence on me". Jazz-rock guitarist Jeff Beck considers Mack a "major influence". Reportedly, his 1966 Yardbirds-era showcase, "Jeff's Boogie", was "a deliberate nod to Mack". As recently as 2015, he included Mack's "Lonnie on the Move" in his standard live-tour set list. Western swing guitarist Ray Benson, frontman for eight-time Grammy-winner Asleep at the Wheel, declared Mack "my guitar hero". 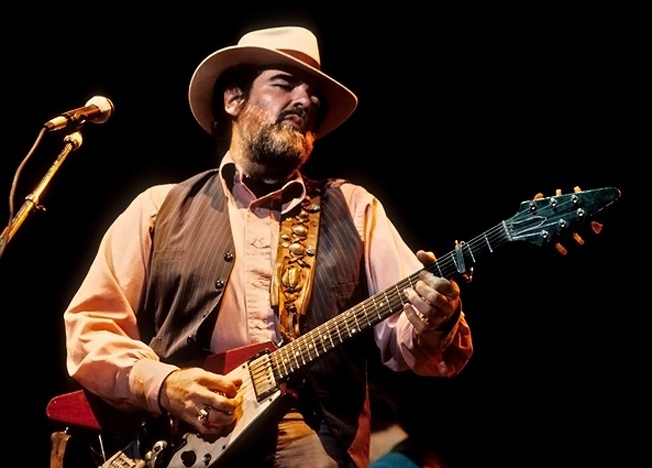 Funk and Soul bassist-guitarist Bootsy Collins of Parliament-Funkadelic: "For me, at that time, Lonnie Mack was the master. Every note that mother played, was, like, 'Man!'. I would try to mimic all the notes he played. Same thing with [Collins' brother] Cat. A Lonnie Mack song come out, he'd learn it backwards and forwards". Hard rock lead guitarist Ted Nugent considers Mack one of the eleven greatest rock guitarists of all time. After his death, The New York Times, The Washington Post, Rolling Stone and many other publications noted his influence on other guitarists. 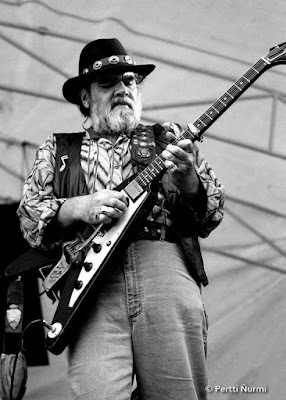 From one: "Without Lonnie Mack’s self-created blend of rock-and-roll, blues, and R&B, all milkshaked-up together and cherry-topped with a unique trebly-vibrato attack with its roots in bluegrass “chicken-pickin’”, we would have no Duane Allman, no Jeff Beck, no Stevie Ray Vaughn or Jimmy Page, as each of them would be eager to tell you."